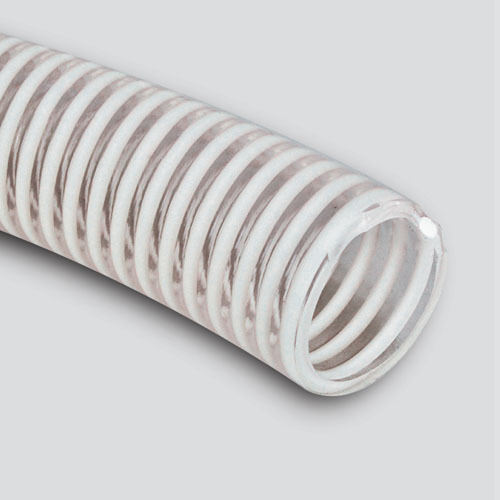 This versatile general purpose, style K, suction/discharge hose is flexible and abrasion resistant, and is great for pumping water and light chemical solutions. Its smooth interior resists material blockage, while the clear PVC wall provides easy visibility of material flow. 50' and 100' lengths are standard. Other lengths available upon request.